The Lotus Make-Up India Fashion Week 2019, which kick-started on March 13 at the Jawaharlal Nehru Stadium in Delhi, is underway and many designers including Rahul Mishra, Samant Chauhan, Rina Dhaka, and Shalini James presented their collections. 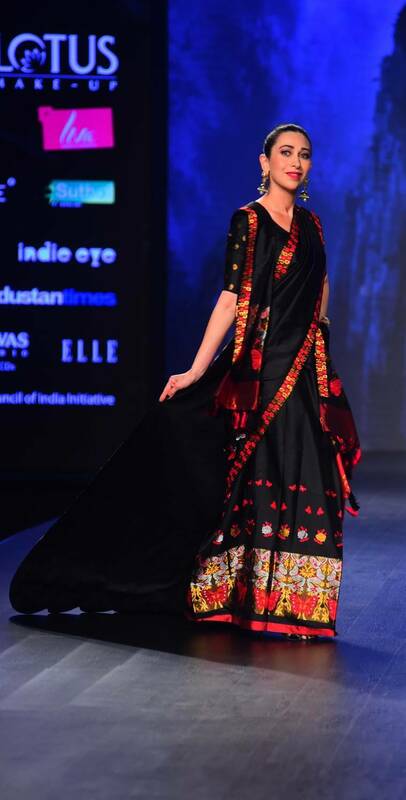 On the second day, designer Sanjukta Dutta showcased her new collection “Morom”, which means ‘love’ in Assamese. Inspired by butterflies and flowers, it encapsulated the essence of Assam. Dutta presented a mixture of ethnic and Indo- western sensibilities which included a wide range of jumpsuits, mekhla chador, crop tops and skirts. The primary colours in her collection were white, black and beige and was marked by floral motifs. 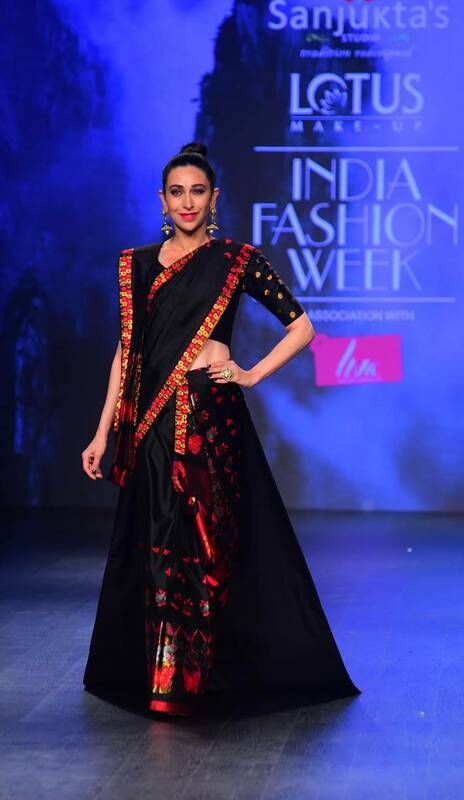 Actor Karisma Kapoor walked the ramp for the designer and looked lovely in a black mekhla chador with embroidered border in white, red and gold. Teamed with a matching blouse, we really liked how her look was rounded out with hair tied neatly in a bun, pink lipstick and lovely golden earrings. Dutta’s designs tell a story, and the rich Indian heritage serve as a great source of inspiration. The designer effortlessly merges tradition with the modern, and the result is telling of impeccable craftsmanship and intricate beauty.